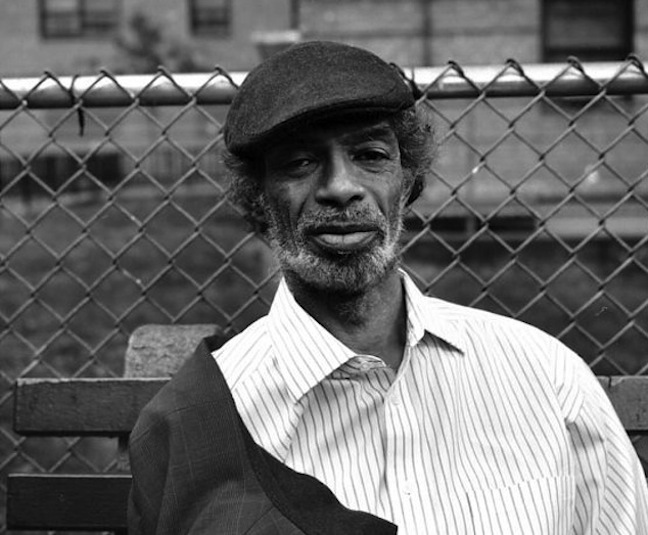 Who is Gil Scott-Heron?, the documentary/memorial film about the late musician and poet, is screening in select theaters and available digitally now. The film, directed by Iain Forsyth and Jane Pollard (the BAFTA-nominated filmmakers behind the Nick Cave pseudo-doc 20,000 Days on Earth), is more tribute than biography, a heartfelt eulogy by friends and family. I feel honored to have mixed it and been a part of the project. Okayplayer has the screening dates, and the film is available now from iTunes along with the album Nothing New. 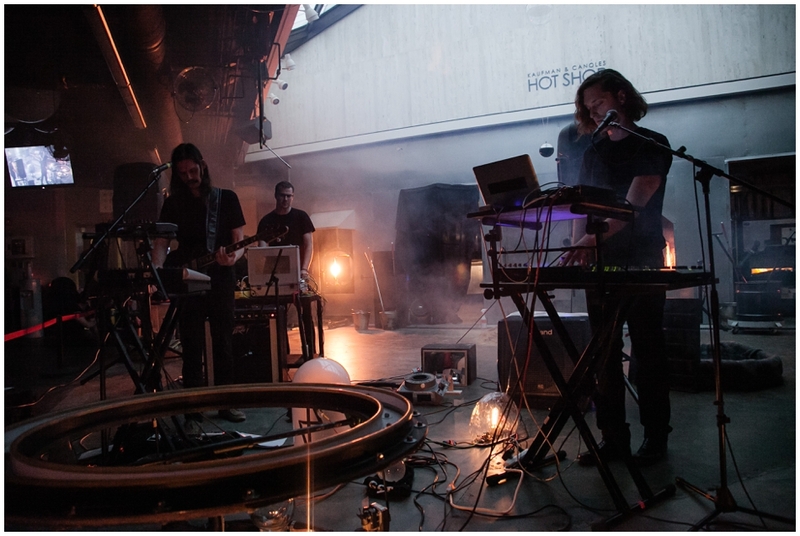 Liturgy have been touring hard since the release of The Ark Work, covering both the US and Europe, with more thoughtful press from publications like Village Voice, Chicago Reader, and the Quietus. I worked with the group to integrate samples and MIDI information into their set (all triggered in real-time by Hunter) to portray some of the arrangements from the record without losing any of the live power of the band. If you haven’t listened to the new record The Ark Work yet, stop reading this and go turn this on immediately! It’s an album unlike anything else, and was a surreal pleasure to re-listen to it for the first time since mastering (on clear vinyl, no less!). The Ark Work is out now on Thrill Jockey, and the group has more US dates this summer (with the always-awesome Yvette) and another European tour this fall. I recently mixed the new album by Dan Friel, entitled Life. I was an early fan of Parts and Labor, met Dan shortly after moving to Brooklyn, and have shared the stage with him, but this is the first time we’ve ever worked together on something. It was a real treat! The new record continues with the palette of blown-out toy keyboard, heavy beats, and mixer feedback, but we worked hard to add more depth and power to the arrangements. Mastered by Sarah Register at the Lodge, Life sounds larger than that – it’s awesome! It should be out later this year on Thrill Jockey. If you didn’t go see PCPC last fall, the mutato-collabo of Parquet Courts and PC Worship, you really missed out. But fortunately for everyone, there is a live record coming out on Dull Tools! Recorded at Ramsgate Music Hall, I recently mixed and mastered this with Andrew, Austin and Justin. I’m not gonna lie – it turned out waaaay better than any of us anticipated: a surprisingly badass and compelling document of a creative blip from some of my favorite musicians. Here’s a demo of set-opener “Fell Into the Wrong Crowd”. Parquet Courts also have a couple split 7″s on the way, including another one of the recordings we did during Sunbathing Animal. Check out their cover of Joey Pizza Slice’s “Pretty Girls”. A couple of cool compilations that featured some of my work were recently released, like 50 Bands and a Cat for Indiana Equality (featuring a live Protomartyr rendition of “Jumbo’s” that I recorded and mixed) and Reanimator Records’ Fiends in Low Places (which has my remix of “Sorrow” by Frankie Rose, along with heavy hitters by Protomartyr and PC Worship). I spent some time in the studio this spring with a band from NYC called VBA. They’ve toured with Kurt Vile and Blonde Redhead, but this EP is their first recording. We recorded at Seaside Lounge and mixed at Doctor Wu’s, and the sounds are both heavy and brain-y, drawing from the rock experimentation of bands like This Heat and Suicide, with a wallop of psyched-out sludge. Honestly one of the best drum recordings I’ve captured! The EP will hopefully be out soon. I’ve been doing a lot mastering lately, my own mixes and with others as well. Awards Banquet came into Doctor Wu’s recently to work with me on their debut full length, which was recorded and mixed by Jason Kelly (of Future Punx and Fergus & Geronimo). The album, coming out on Scioto Records, is a super catchy, classic-sounding rock record, like hearing an old friend from your collection for the first time. I also mastered a collection of yoga sutra chants by Caroline McCarter for Yoga RX, recorded and mixed by Ian Saylor (from Turn to Crime)… a very blissful way to spend the afternoon. Unfortunately, the Optimo Music post-punk compilation that I mastered, Now That’s What I Call DIY!, has been postponed due to a cease-and-desist from Sony over the title. I’ll post more details as I get them. And Magical Beasts (the new project from members of the I Ching Quartet) is running a fund-raiser on Pledgemusic to get their album (which I mastered) pressed to vinyl. They’ve almost reached their goal – fans of acoustic folk-pop should definitely check it out! I’ve also been spending a lot of time with Eaters. We recently created a new sound sculpture called Moment of Inertia, which premiered in May at the Chrysler Museum of Art in Norfolk, VA. Chris Duffy (our visuals member) conceived the piece and created the sculpture (a centrifugal-force-powered glass turntable), and Bob and I created the music (cut to acetate by Josh Bonati). The premiere was part of the museum’s Third Thursday series in their Glass Studio, which involved a team of glass artists working under the direction of Chris in tandem with our music and lights. It was a truly unique experience, and fun to step out of the normal performance situations. We’re working to put together an EP based on Moment of Inertia, to be released later this year on Driftless Recordings. Thanks for reading – please feel free to drop me a line if you want to talk about sound!